Complimentary treatment with every appointment Thursday - Saturday. ...our gift vouchers make a wonderful, thoughtful valentine’s gift. Pop into the salon to purchase. We are very pleased to welcome Karina to the Radlett team. Enjoy the full Cutting Room pampering experience with Karina (salon stylist level 2) and walk away with a gorgeous cut and colour - and a spring in your step - at these positively pocket-friendly prices, for a very limited period only. Ts & Cs: This is a limited period offer for new clients, or those who haven't visited for 12 months or more. A 48 hour colour patch test may be necessary. We may ask for a 20% deposit for new client colour appointments. Experience a top-notch cut with a senior stylist in our relaxed and welcoming, five star salon, for just £20 (normally £31.50)*. Drift away while your head is massaged and your hair is cleansed using the finest Davines shampoos; unwind while sipping on a complimentary cold bottle of beer, as your hair is fine-tuned into best ever shape. The ultimate in masculine maintenance. Our gifted hairdressers serve up precision cuts, along with advice on the latest trends and finding a style that works for you. Choose classic and dashing, add a fashionable twist, or keep it longer and looser – you will be coiffed to your satisfaction. *This is an introductory offer for first visits or clients who haven't visited for 6 months or more. Radlett salon only. Not any of us. But it could be you. ..at the Radlett salon, with a Sassoon trained Salon Stylist. Enjoy the full The Cutting Room pampering experience and walk away with a gorgeous cut and colour (and a spring in your step!) at positively pocket-friendly prices. Ts & Cs: This is a limited period offer for new clients, or those who haven't visited for 12 months or more, booking a cut and a colour. A 48 hour colour patch test may be necessary. We may ask for a 20% deposit for new client colour appointments. The most important day of the year! What better way to show you care than give the gift of great hair? GIFT CARDS – A real treat to be enjoyed at her convenience! 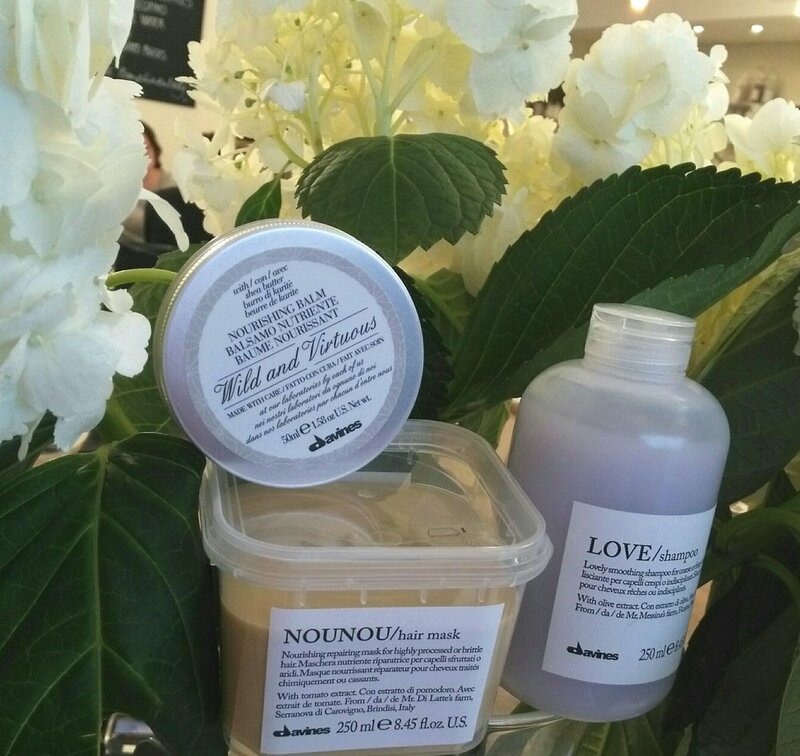 Radlett salon: Buy two full size Davines haircare or styling products and receive a free Davines Nourishing Balm. Davines is first class, Italian haircare, of natural and organic origin where possible; sulphate free. As sold in Liberty and top salons. Harpenden salon: Buy any 3 full size haircare or styling products and receive the cheapest free. Includes the super luxury and natural Alterna range. LAST MINUTE SATURDAY APPOINTMENTS AVAILABLE - treat yourself and get your hair in great shape for the big day. Be among the first to get your hair in dazzling shape for the party season with an amazing colour and Olaplex service at The Cutting Room, Radlett. Receive your colour AND Olaplex treatment for half price. For November only, book a colour service with a full price cut & finish and receive 50% off the price of your colour – AND enjoy the miraculous Olaplex treatment for half the usual price (usually £30). ALL CLIENTS: All clients who book a colour service for November, please enjoy an Olaplex treatment at half the usual price (usually £30). Olaplex must be experienced to be believed. For more information about the Olaplex treatment, please read our article. CALL 01923 856351 to book your appointment and consultation. Please ensure you mention the offer and allow time for the Olaplex treatment. Monday-Friday only. A 48 hour colour patch test may be necessary. Half price colour does not include balayage. Subject to availability and with selected stylists. Radlett salon only. Cannot be used in conjunction with any other offer. *Or clients who have not visited in the past 12 months. For radiant, natural looking results from our top stylist. We are a balayage hot spot: we do lots, we do them well and we love doing them! It's the hottest colouring technique right now for good reason: they produce gorgeous, natural results because the highlights are put through by hand, without foils. Add a toner in one of this seasons colours for a brighter, bolder finish. Usually from £150. Excludes toner. NEUTRAL TONER / GLOSS: only £10 with your blow-dry service (usually £20). Refresh and condition your hair, bring it back to life after too much sun, or tone down brassy highlights. Monday-Friday. CALL 01923 856351 to book your appointment or free consultation. Ts & Cs. All offers end 31st August. Subject to availability and with selected stylists. Radlett salon only. Cannot be used in conjunction with any other offers. 20% off cut & colour on first visit, at our Radlett salon. Enjoy 20% off cut & finish and colour with one of our senior stylists. CALL 01923 856351 to make your appointment. Ts&Cs: Radlett salon only. Selected senior stylists. Monday – Thursday. A 48 hour skin patch test may be required for colour services. Limited availability. First salon visit, only with the exception of clients who have not visited for 12 months or more. SORRY, THIS OFFER IS NO LONGER VALID. We're overjoyed with James’s recent appointment to manager of the Radlett salon. James is an expert cutter and colourist with a passion for balayage – the hottest trend in hair colour; for a beautiful, soft, natural look. An artistic director with over 20 years experience, you are in the very best hands. Experience James’s exquisite classic or contemporary cuts for 20% less this Easter weekend. Limited availability of course! Please call 01923 856351 for your appointment or drop by for a free consultation. Ts &Cs. Please mention the offer when booking. We're pleased indeed that after two years of hard work training at the Harpenden salon, the lovely Katie has qualified and made the transition to graduate stylist. Well done Katie! Katie is on hand for cuts, blow-drys and colours Tuesday, Thursday, Friday and Saturday. INTRODUCTORY OFFER: Enjoy a cut & finish for only £30, for a limited period. First time visitors only. Monday - Thursday. Few things are as good for the mood as stepping out with great hair; yet following this treatment it’s possible every day, without spending your whole morning styling it – a few minutes is all you will need. Having fabulous hair becomes a breeze, as if you've had a "permanent blowdry", with results only achievable otherwise with weekly salon visits (which will put your hair into shape for just a few days). And this is far superior because not only does it last for around three to four months, but also the hair has been completely repaired. You could say it's a life-changing procedure! Customers who have our Nanokeratin treatment rave about it (as do we), saying they couldn't live without it. Sometimes generically referred to as a brazilian blowdry or permanent blowdry, the Nanokeratin System is the best, most enduring hair smoothing treatment around, and used in top salons such as Daniel Galvin and Nicky Clarke. It is also completely safe and shouldn't be confused with some of the earlier treatments on the market, which it is light years beyond. We usually charge £150+ for this service (available in both salons). So now is the time to see what you have been missing! Please call the salon for more information and to find out how soon it will be before you too can have perfect, beautiful hair every day. Experience a top-notch cut with James in our relaxed and welcoming, five star salon, for just £20 (normally £35)*. Drift away while your head is massaged and your hair is cleansed using the finest shampoos; unwind while sipping on a complimentary cold bottle of beer, as James fine-tunes your hair into best ever shape. The ultimate in masculine maintenance. James is a gifted hairdresser, serving up precision cuts, along with advice on the latest trends and finding a style that works for you. Choose classic and dashing, add a fashionable twist, or keep it longer and looser – James will ensure you are coiffed to your satisfaction. *This is an introductory offer for first visits or clients who haven't visited for 6 months or more. Not James. But it could be you. We are very pleased to be participating in the Vogue Salon Season blow-dry + free Kerastase Fusio treatment promotion. HOW IT WORKS: Select the blow-dry you would like from the beautiful styles below and call 01923 856351 to make your appointment with the Radlett salon. You pay for the blow-dry but receive a free treatment from the excellent Fusio range. PLUS! LIKE OUR FACEBOOK PAGE + SHARE THE VOGUE PROMOTION POST FOR CHANCE TO WIN FREE BLOW-DRY TOO. Competition ends midnight 24th October. Remember, all of our Facebook and Instagram followers are automatically entered into our monthly blow-dry competition. 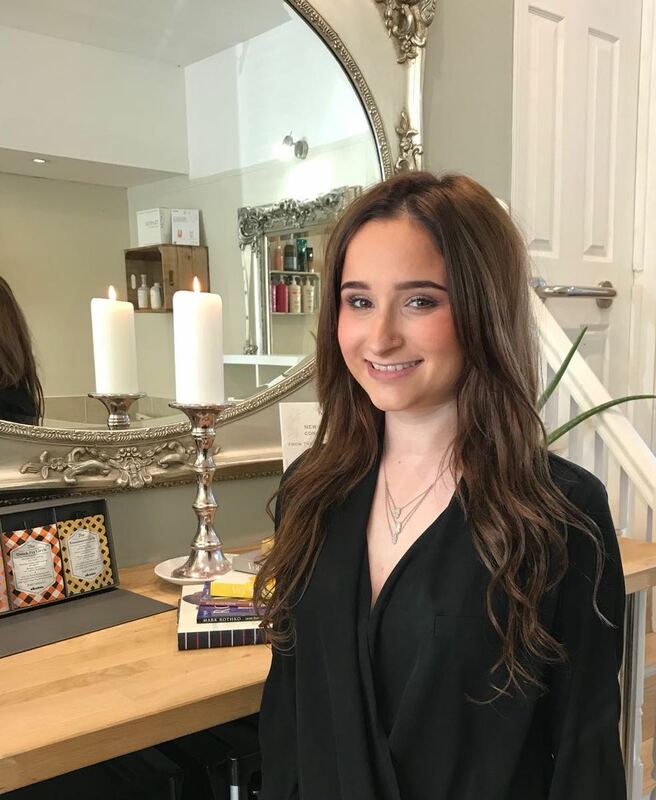 To celebrate Sammy joining our Radlett team, we are offering new clients* the chance to experience her exceptional hairdressing at amazing introductory prices. Sammy is a very talented stylist with nearly 10 years' experience and we are very pleased to have her on board. Whether a bold new colour, or a luxurious, natural look, Sammy is a Wella Colour Masters technician , so you are in the very best hands. For excellent cuts, colours and blow-drys, trend and haircare advice and a look that works for you, call the Radlett salon for your appointment. *Includes clients who have not visited for 1 year or more. Treat yourself to a fabulous colour and blow-dry with our rising star Keeley at these amazing introductory prices. Radlett salon. First salon visit only. Other Ts & Cs apply. To celebrate Joanne joining our Radlett team, we are offering new clients* the chance to experience her exceptional hairdressing at amazing introductory prices. Joanne is a very talented stylist with 10 years' experience and we are very proud to have her on board. Joanne is available Tuesday and Saturday at the Radlett salon. WIN A BLOW-DRY! Follow to be kept up to date with all the latest trends, offers, salon activity and photos of our work - be part of our community and don't miss out. Facebook followers are automatically added to our monthly blow-dry competition. We are thrilled to welcome Alex to the Radlett team. Alex is Vidal Sassoon trained and has twenty years' hairdressing experience. His work has been seen on top models at Madrid Fashion Week, at the Miss Spain awards and not to mention many actors and footballers - so you'll be in good company and some very capable hands indeed! As a very special introductory offer, we would like to welcome new clients to experience Alex's exceptional hairdressing for half his usual price. An indulgent experience for two first-time visitors. Just ensure the bookings are made for the same day; Monday to Wednesday. Cheapest bill is free. Selected stylists. Subject to availability. Radlett salon only. Ts & Cs. 50% OFF HIGHLIGHTS + free luxury Kerastase treatment when you book a cut & finish in January. The perfect opportunity to experience our new Wella colour for yourself. Selected stylists. Ts&Cs. Mon-Wed. Radlett salon only. CALL 01923 856351 or drop by for a coffee and a free consultation.